As governments began to compel their citizens to be vaccinated, resistance to the procedure grew. 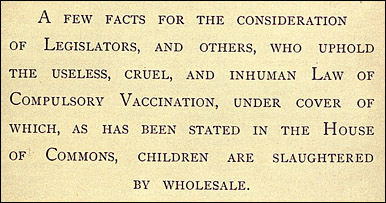 Anti-vaccination societies became especially vocal during the late nineteenth century. 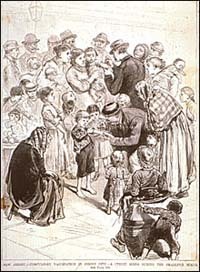 Many anti-vaccinators believed that vaccination was, as George Bernard Shaw put it, a “filthy piece of witchcraft” which did more harm than good. 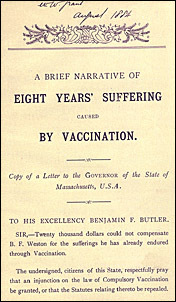 Governments often provided vaccination free of charge to the poor. 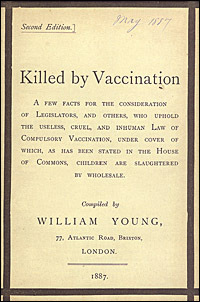 Opponents of compulsory vaccination were varied. Some saw the issue in terms of civil liberties, arguing that governments should not force citizens to undergo any medical treatment against their will. Others believed vaccination was dangerous, insisting that “thousands...are killed annually by vaccination.” And still others, especially in India, found the use of a vaccine derived from cows to be unacceptable. 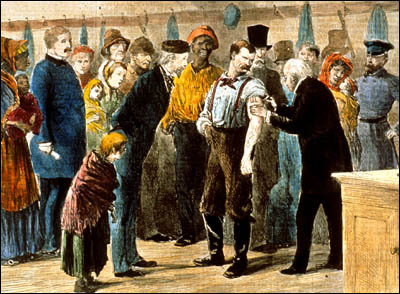 The debate over vaccination forced governments to assess the rights of the individual against the rights of the community. Did an individual have the right to resist vaccination when his or her actions put a community at risk? Increasingly governments said no. 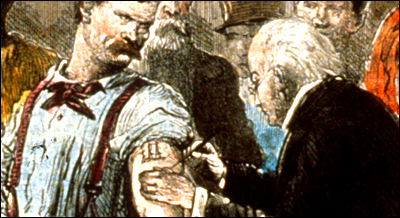 In America, compulsory vaccination was introduced on a state by state basis.